Welcome to Waterstone a new waterfront community in the Porters Neck area. Luxury meets nature at your doorstep. The amenities include a Community Pool, Clubhouse, Fire Pit, Walking Trails, Shaded Pavilion with a Grilling Station. Our stunning new Coastal Cottage ''The Greenbriar'' plan offers true one level living. 3 bedrooms, 3 1/2 baths, each bedroom w/their own private bathroom. 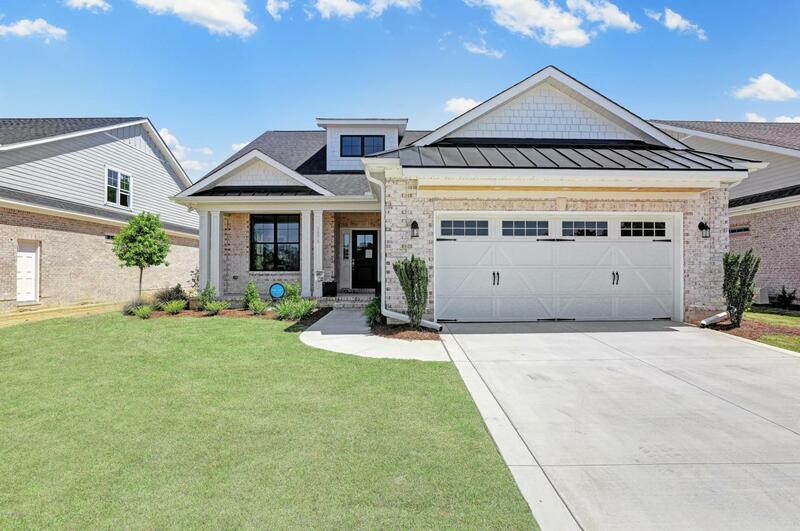 Exterior features includes Brick & Hardy plank siding, covered front porch, screened & tile rear porch and privacy fence overlooking a conservation area. Luxury interiors feature a gourmet kitchen with granite or quartz counter tops, soft close kitchen drawers, natural gas cooktop, stainless steel appliances, tankless Rinnai water heater, vented gas logs and luxury upgraded trim. Located off Edgewater Club Rd.